Kerala, well-known as the best place for ayurvedic treatments, is now reaping rich benefits through health tourism. The reason behind this increase in health tourism is the popularity that the ayurvedic treatments have gained in the recent past, and the way they are marketed by way of medical tourism. In the early 1950s there were not many hotels where foreign tourists could find accommodation and they stayed at Government guest houses. But ten years down the line, when there was an increase in the number of tourists arriving at Kerala on health tourisms, the Government of Kerala realized that there was a huge market for such health tourisms and these tourists were automatically drawn towards Ayurveda. Since then, Ayurveda has fast emerged as a global term. This is when the promotion of Ayurveda started in kerala by formation of health centres offering ayurvedic treatments like Hotel Samudra in Kovalam and such other resorts. Moreover Kerala is one among the top ten destinations that is described as a must-see by the National Geographic Traveller, thereby attracting patients from other countries to visit India. 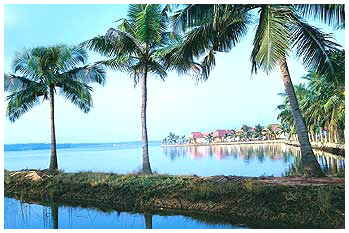 Kerala has been recently awarded the Best State Award for promotion of tourism by the Government of India. Apart from the basic attractions like back waters, beaches, and hill stations, Ayurveda has also been an equally important contribution for gaining this credit. Along with lot of other projects, new plans are being laid to promote health tourism and ayurvedic sector in Kerala is now facing a stiff competition. Most new and existing hotels are finding it compulsory to include an Ayurvedic Spa. Most established hospitals in Kerala are all considering this as a wake-up call.